The Old Rugged Cross is a popular Christian song written in 1912 by evangelist and song-leader George Bennard (1873-1958). George Bennard was a native of Youngstown, Ohio but was reared in Iowa. After his conversion in a Salvation Army meeting, he and his wife became brigade leaders before leaving the organization for the Methodist Church. As a Methodist evangelist, Bennard wrote the first verse of “The Old Rugged Cross” in Albion, Michigan, in the fall of 1912[a] as a response to ridicule which he received at a revival meeting. Bennard traveled with Ed E. Mieras from Chicago to Sturgeon Bay, Wisconsin where they held evangelistic meetings at the Friends Church from December 29, 1912 to January 12, 1913. During the meetings Rev. George Bennard finished “The Old Rugged Cross” and on the last night of the meeting before a full house, Bernard and Ed Mieras it as a duet with Pearl Torstensen Berg, organist for the meeting, as accompanist. Charles H. Gabriel, a well-known gospel-song composer helped Bennard with the harmonies. The completed version was then performed on June 7th, 1913, by a choir of five, accompanied by a guitar in Pokagon, Michigan, at the First Methodist Episcopal Church of Pokagon. Published in 1915, the song was popularized during Billy Sunday evangelistic campaigns by two members of his campaign staff, Homer Rodeheaver (who bought rights to the song for $50 or $500) and Virginia Asher, who were perhaps also the first to record it in 1921. 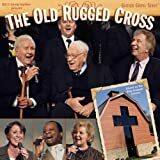 The Old Rugged Cross uses a sentimental popular song form with a verse/chorus pattern in 34 time, and it speaks of the writer’s Christian experience rather than his adoration of God. Bennard retired to Reed City, Michigan, and the town maintains a museum dedicated to his life and ministry. A memorial has also been created in Youngstown at Lake Park Cemetery. There is a world of info online on discovering your treasured pianists and in instructing you how to perform piano. Many people get a quality online training course and then use our internet site to help them find the sheet music require for it. Or even, you can find hundreds of additional music of music to expand your repertoire.